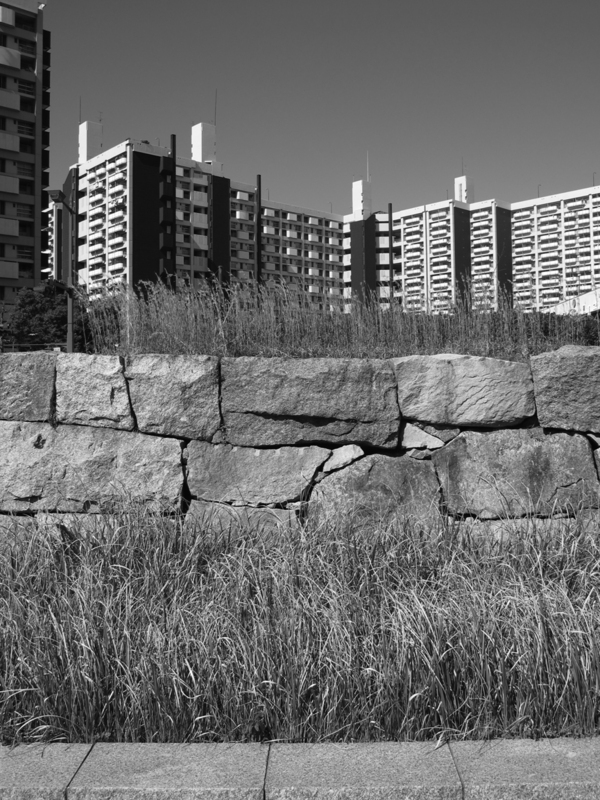 Erik van der Weijde captured a desolate and isolated housing estate in Hiroshima, Japan. 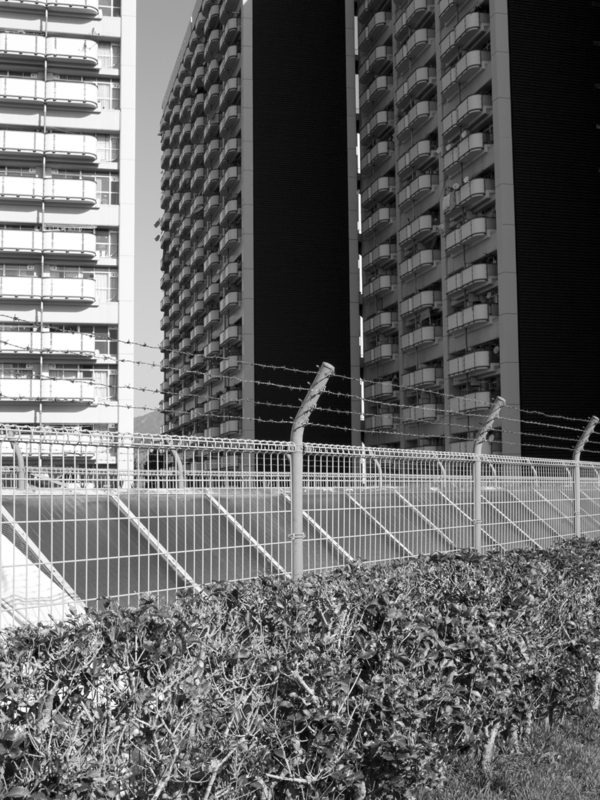 Dutch photographer Erik van der Weijde has a particular fascination with architecture, especially structures with a distinct, sometimes imperceptible or ghostly history. 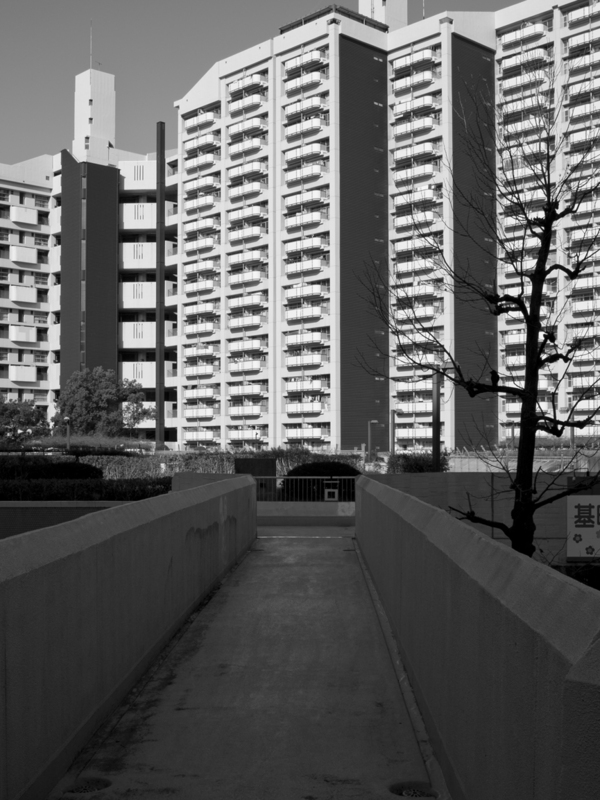 One of the series resulting from this is about a social housing estate in Toyota, Japan, for factory workers employed by car manufacturer Toyota. 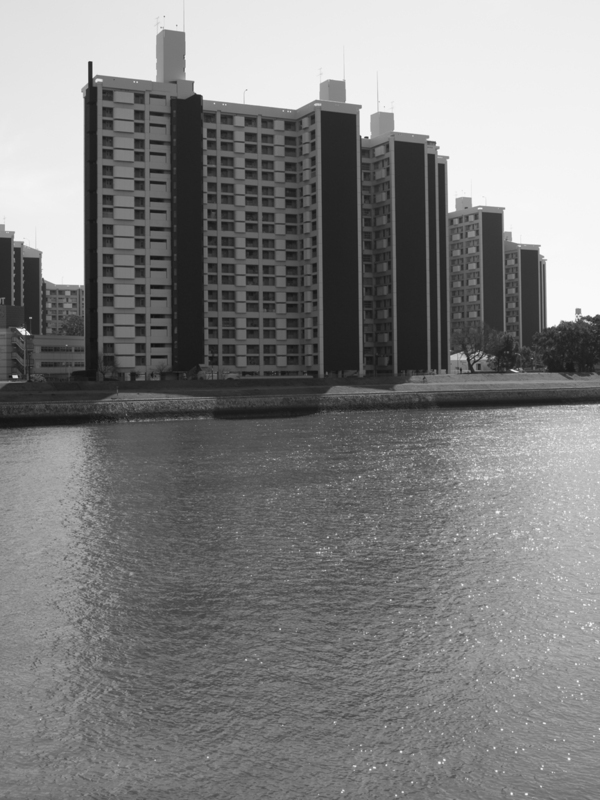 The estate ended up being mainly occupied by Brazilian immigrant workers, with living habits that were different from what the architects had in mind, creating favela-esque situations. 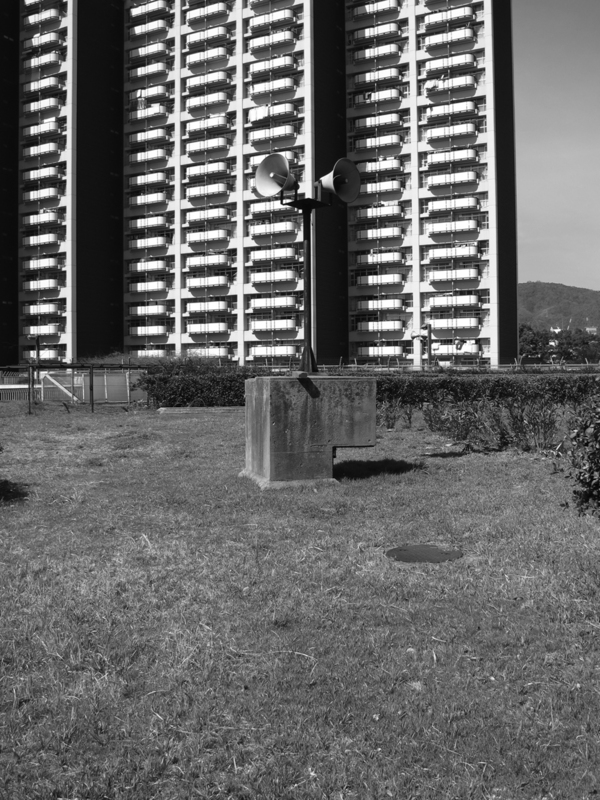 Van der Weijde’s books include Superquadra (2010, Roma Publications), about Brasilia’s massive modernist residential slabs, and Siedlung (2008, Roma Publications) in which he documents the Siedlungen (settlements) that were constructed during the Nazi regime. All photos are courtesy of Erik van der Weijde. 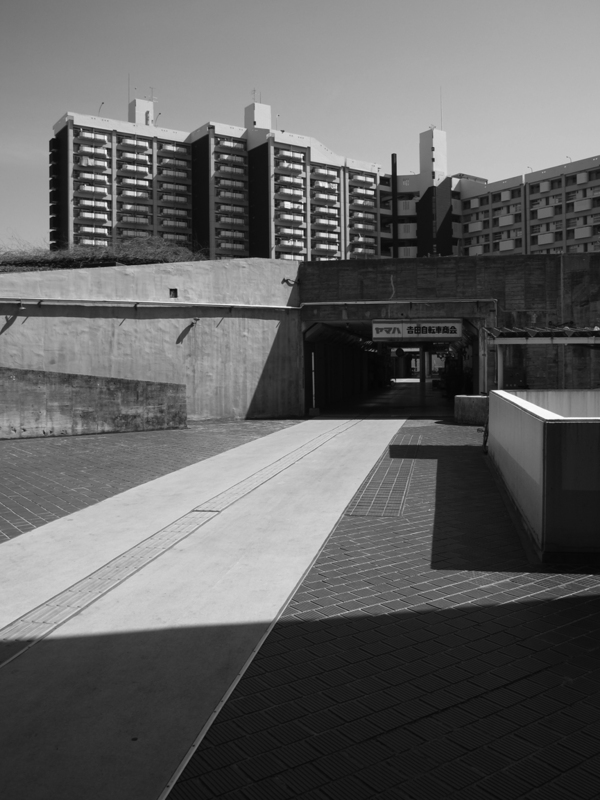 In one of his latest projects, Van der Weijde captured the Motomachi housing complex in Hiroshima, situated along the Otogawa river. 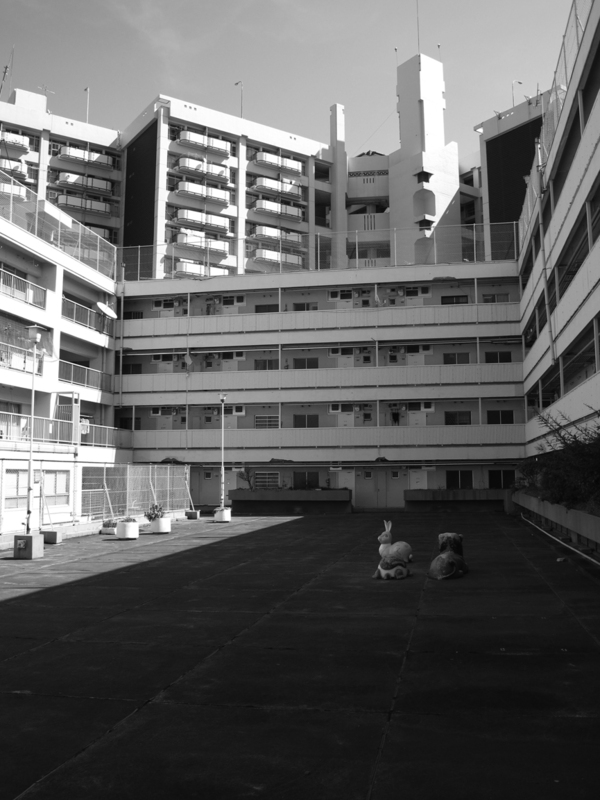 The estate was built between 1968 and 1973 as the last part of the city’s rebuilding process after the A-bomb devastation, on the site of a former military camp which was used as a jam-packed refugee camp after the bomb hit in 1945. 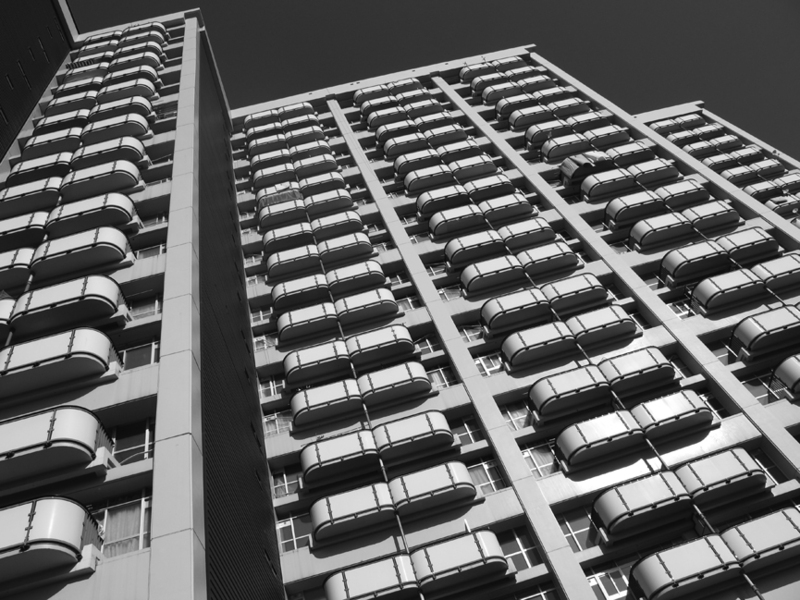 Motomachi is a collection of zigzag buildings of eight to twenty floors tall around a central open space, a primary school, kindergarten, nursery schools, shopping and commercial space, a hospital, and community centres. 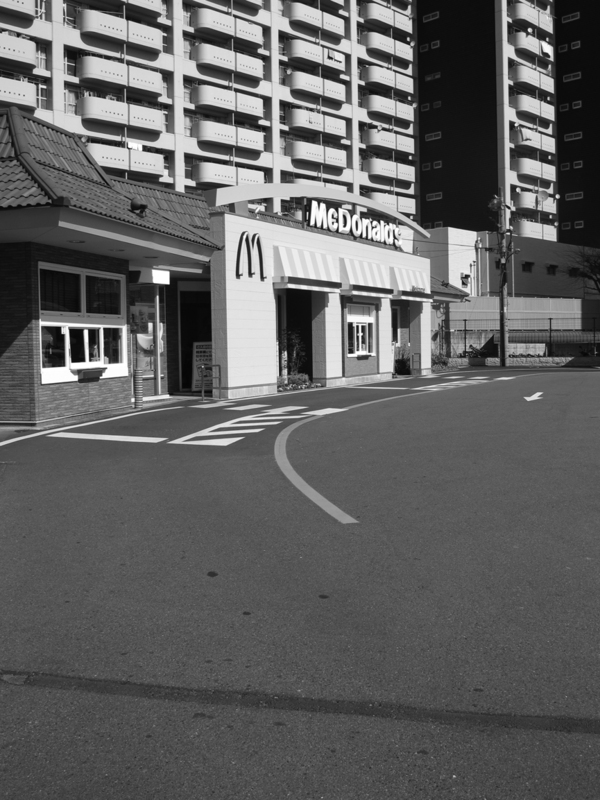 Today, however, around 90% of the shopping space is vacant, one of the reasons being that the mall cannot be reached by car. 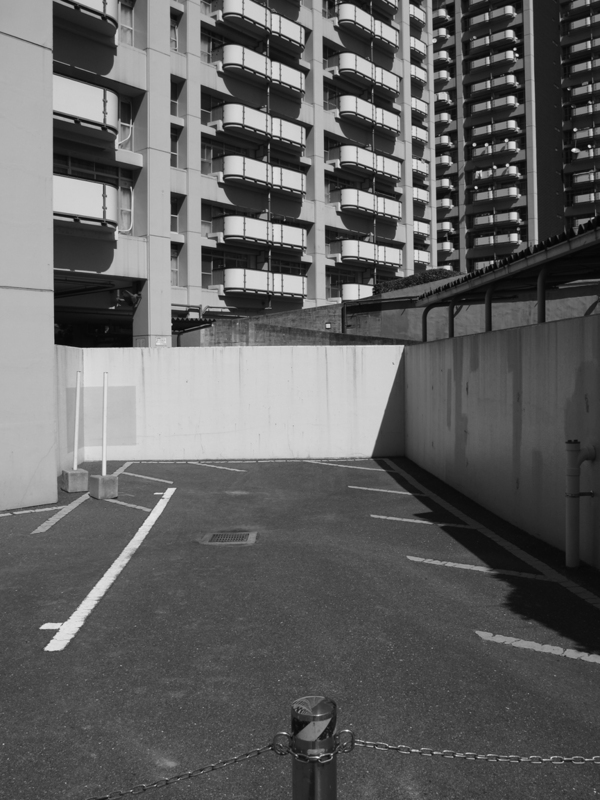 Below is Erik van der Weijde’s photo essay of Motomachi, showing the emptiness of the estate, the absence of activity on the ground, the difference between the planning and the eventual use of the space, and the relative isolation of this part of Hiroshima.